Light up your celebration with this pack of 15 mixed colour LED balloons from iLLooms. Pack includes Red, Yellow, Blue, White, Purple, Pink, Orange & Green. 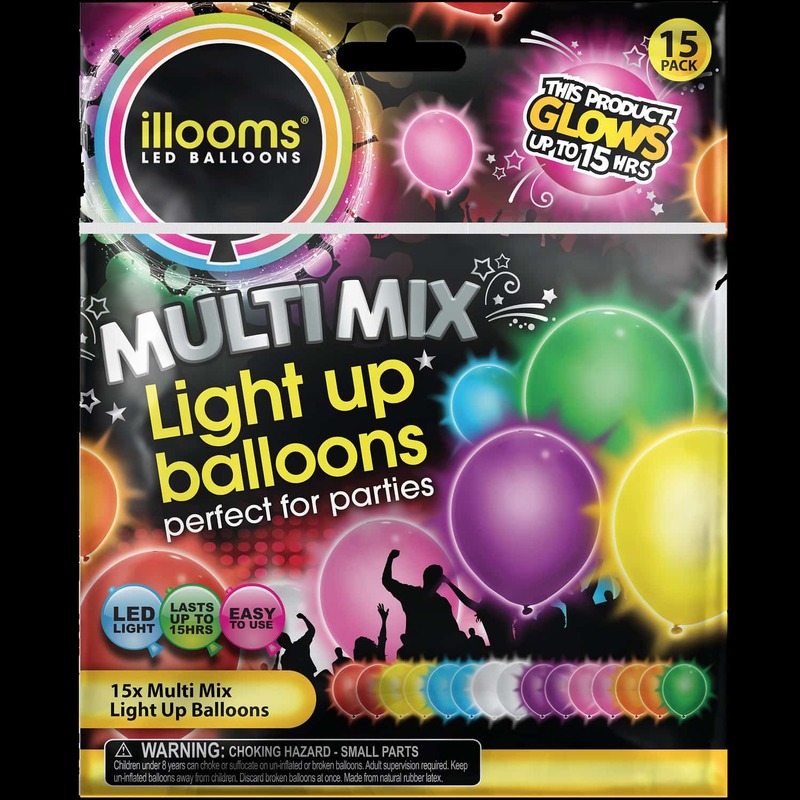 Made of natural rubber latex, these bright and colourful light-up balloons are great for birthday parties, themed events and any celebration whether it’s indoors or out. 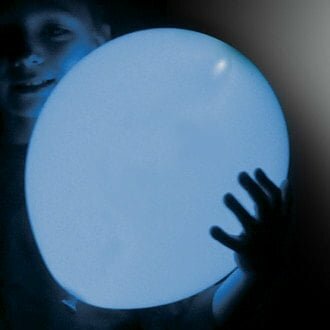 The balloons have a radiant glow from an integrated LED that illuminates the balloon for up to 15 hours when the tab is pulled out. Easily inflated. 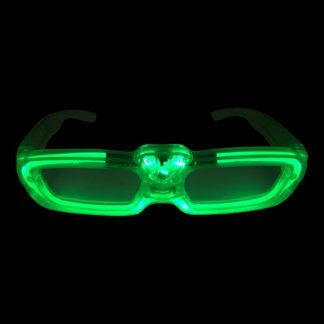 Batteries are included. Adult supervision is recommended for children under 8 years.